Gregory Louis Timp received his Ph.D. from the Massachusetts Institute of Technology in 1986 working with Mildred Dresselhaus. 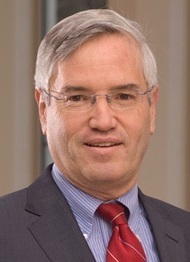 After a post-doc at IBM with Alan Fowler, he joined Bell Laboratories in 1988, where he engaged in research on nanostructure physics. In 2010, he joined the faculty of Notre Dame to pursue nano-biotechnology with an appointment jointly in Biological Sciences and Electrical Engineering. He is the Keough-Hesburgh professor of Engineering and Systems Biology. He is a Fellow of the American Association for the Advancement of Science; a Fellow of the American Physical Society; and a Fellow of the Institute of Electrical and Electronic Engineers. He has published over 150 articles in scientific journals and holds 10 patents.